Inspired by stories of the temperamental but talented Fiore de Henriquez, Whymark set out to make his first documentary feature. “When I started doing some research into Fiore’s life, the first thing I discovered was that she had purchased a village in Tuscany – house by house – and turned it into an artists’ colony,” Whymark says. He got in touch with the people who now run the colony and was soon on his way to Peralta, Italy for a celebration of Fiore’s birthday. There he met and filmed many people who knew and worked with the artist. There was a lot of material to uncover – Fiore led a fascinating life, suffering abuse as a child, discovering at puberty that she was intersex, and later working against the Nazis as a member of the Italian partisan movement, all before she even began her artistic career. 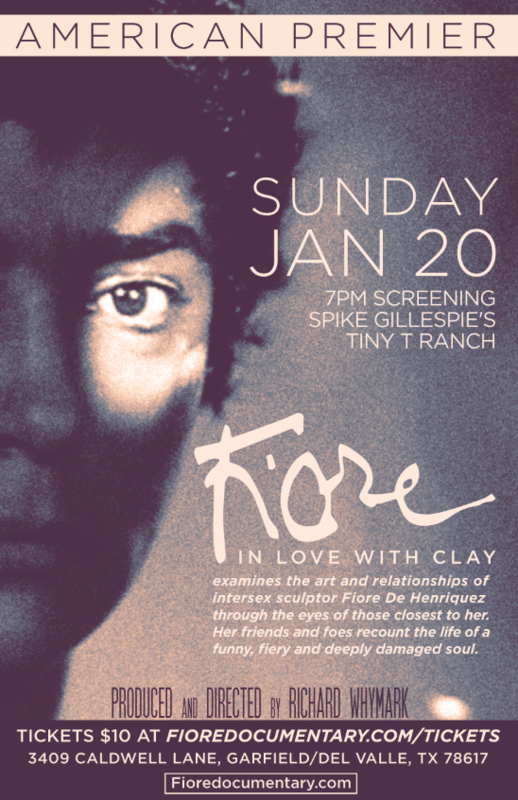 'Fiore: In Love With Clay' will have its American premiere this Sunday, January 20, at Spike Gillespie’s Tiny T Ranch and is available now for rental or purchase on amazon.com. After the surprising success of that first show, the folks at Blue Genie said, “’That was great. That was fun. We should do that again,’” Younger says.